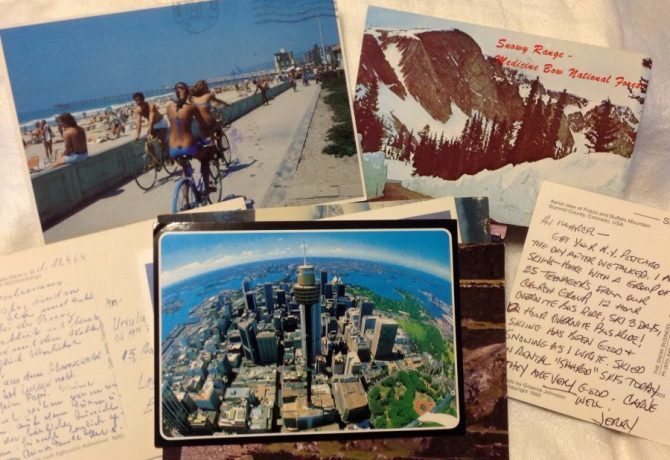 Growing up, I spent lots of time rifling through my grandmother’s drawer of pictures, postcards, and momentos. Hours buzzed by while I imagined what it was like to live on that southern Missouri farm, or to see this baby bracelet on my newborn grandfather’s ankle. I loved how the souvenirs of the past felt silent, certain, and a little sad. 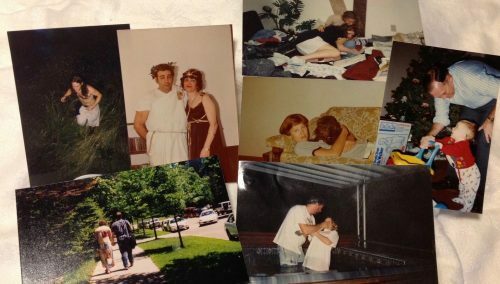 As an adult, the memory of my little childhood hobby washes over me at estate sales, when I visit sites like Post Secret, and even when I'm at work. I’m lucky enough to spend my days with the best vessels of forgotten memories--books! Down in the library basement, where the Friends of the Lawrence Public Library process donations, we have a clear plastic tub with a sign that reads, “Things Found In Books”. The Friends volunteers, who take care of the 4,000+ books we get each week, diligently fill this bin with scraps of the past that they find inside donated books. I get to rifle through this bin from time to time, separating the time capsules from the junk. 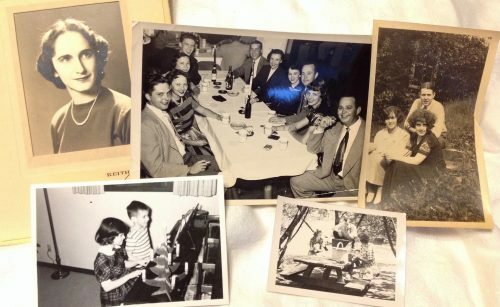 I get to curate photos, postcards, and newspaper clippings long forgotten by their owners. 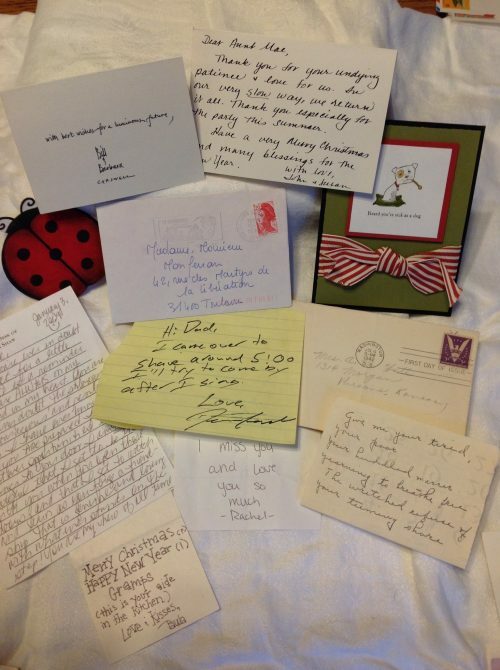 From full handwritten letters to empty envelopes and scraps of paper with a hastily written messages, we get it all. 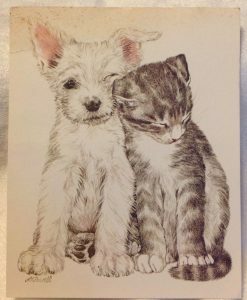 We've found letters with postmarks from 1942, letters sent to France, and cards conveying sad news. One of my favorites, pictured here, reads, "Hi Dad, I came over to shave around 5:00 I'll try to come by after I sing." I just love how this note is vague enough to spark questions. Why is this person shaving at their dad's house? Are there no razors at their's? 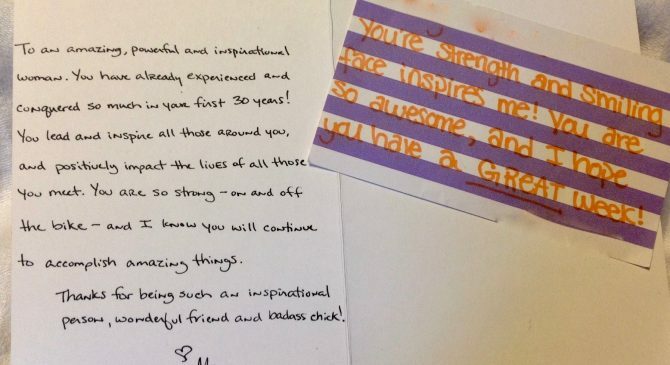 Some notes provide encouragement, like the two below, while some offer questionable advice. I truly hope the friends from the puppy card, below, decided to blow that diet and embrace the idea that happy and healthy is way better than skinny. 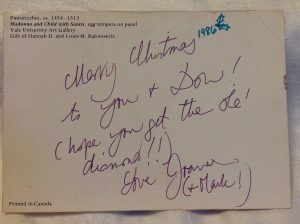 Encouraging notes from a friend: "To an amazing, powerful and inspirational woman. You have already experienced and conquered so much in your first 30 years! You lead and inspire all those around you, and positively impact the lives of all those you meet." 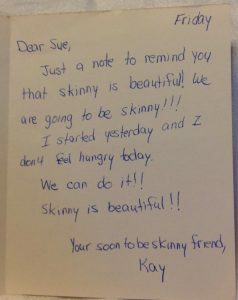 Questionable motivations: "Just a note to remind you that skinny is beautiful! We are going to be skinny!!! I started yesterday and I don't feel hungry today. We can do it!! Skinny is beautiful!! 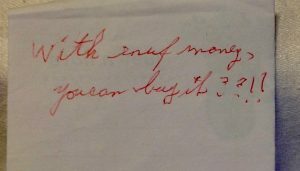 Your soon to be skinny friend"
Not sure if this is terrible advice or terribly profound: "With enuf (sp) money you can buy it??!! For full nostalgic punch, I personally enjoy finding black and white photos of people engaged in life instead of overly staged portraits. The former flaunt context, relationship, and action that the studio portraits can never achieve. Color photos are more common, but are no less intriguing. In fact, color photos are much more likely to make you do a double take. I blame digital cameras. When it costed a small fortune to purchase a camera and get film developed, the likelihood of someone taking a photo of a shirtless dude traipsing through tall grass was pretty low. OK, arguably everything mentioned above is an unconventional bookmark, but these are items that must have just been at hand when someone needed to plunk down a bookmark. 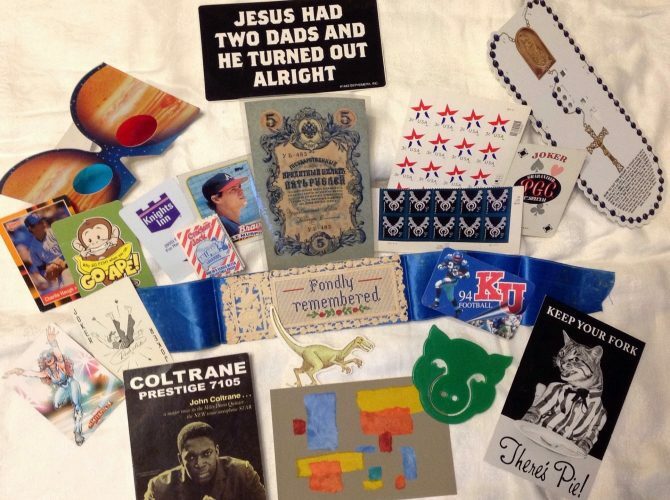 Unconventional Bookmarks include baseball cards, bumper stickers, stamps, foreign currency, and playing cards. $550. We gave it to the library as a donation! -Angela Thompson is the Friends of LPL Program Coordinator.